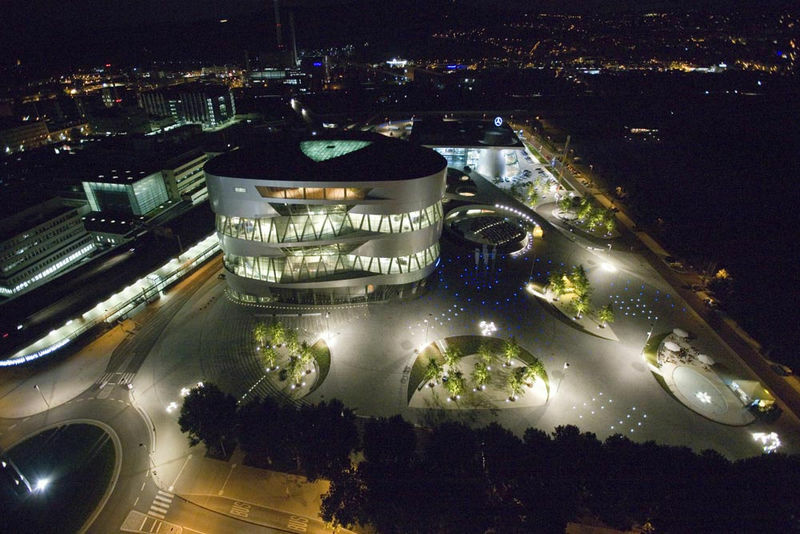 The Mercedes-Benz Museum is a proper futuristic masterpiece; the silvery shining construction seems to be unearthly, of some stellar origin, which is all very fitting as the star is the trademark of this legendary car manufacturer. 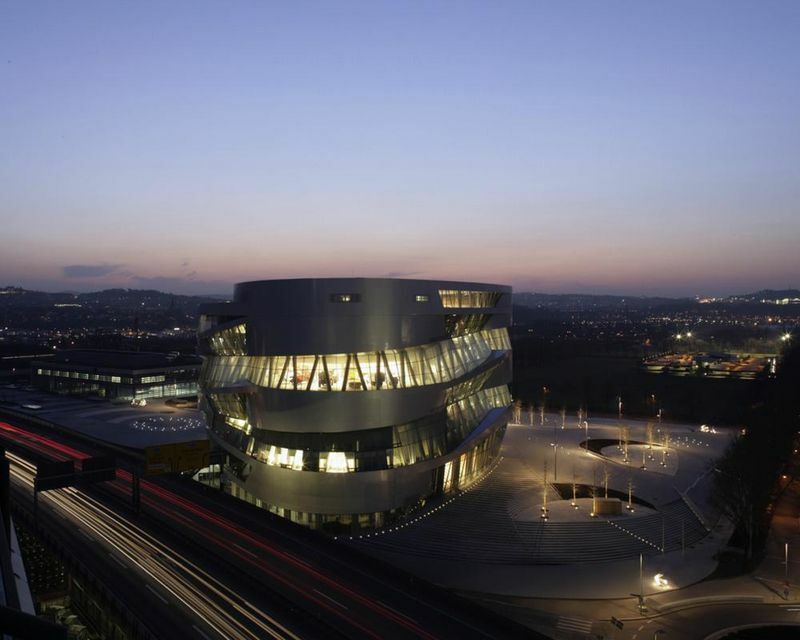 This highly extraordinary Museum and its fantastic interior is a monument beyond comparison for Mercedes-Benz and automotive history. 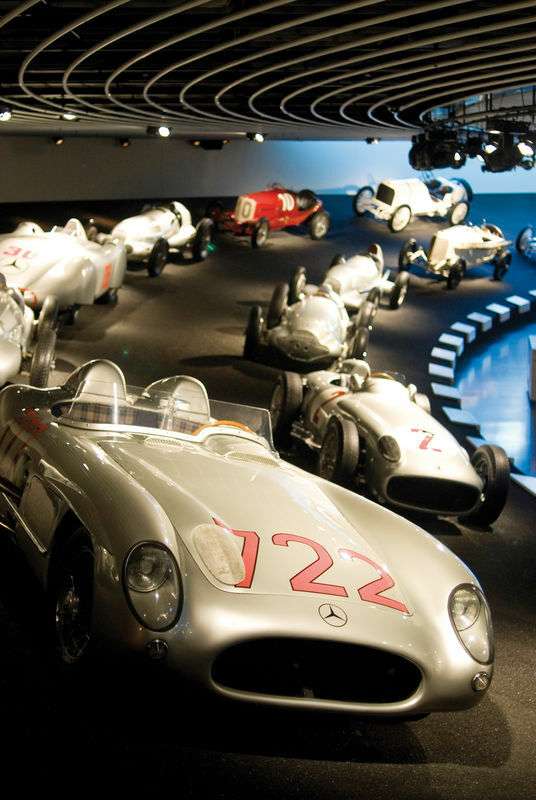 One does not need to be a car enthusiast to be drawn to the fascinating Mercedes-Benz Museum. In an area of 16.500 square meters, visitors are lead on a spiral shaped double helix route through nine levels of exhibition space, divided into “legend” and “collection” rooms tracing the history of the world-famous brand. 160 vehicles are impressively staged accompanied by film clips, music and exciting artefacts that make the history come alive. Many legendary vehicles are among those on display : A 1902 model, which is the oldest original Mercedes still in existence today, the famous supercharged models of the 1920's and 1930's and the legendary models with the gull-wing doors. The exhibits represent all periods in history; many used to be owned by famous celebrities. The exhibits showcase the whole spectrum of motorised mobility. Powerful and elegant at the same time, the legendary “silver arrows” are displayed in a steep turn. An audio guide provides our visitors with extensive additional information covering four different areas of interest in eight languages.